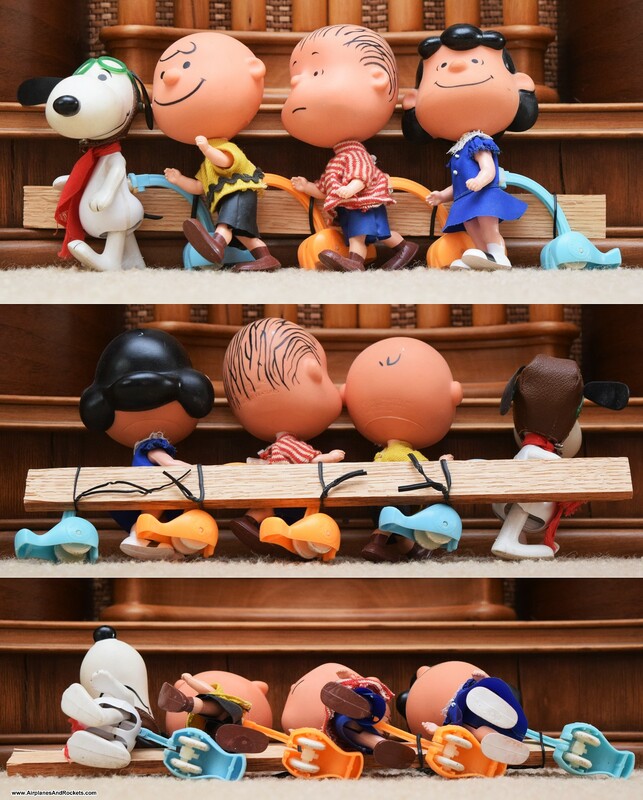 This is the complete set of Peanuts Skediddlers, sold by Mattel. Linus is extremely difficult to find, and when you do, he typically sells for $200 or more. If you find a Linus Skediddler with the original box, expect to pay $400. Over time, our (Melanie and me) Peanuts collection of memorabilia has grow from the few items she had left over from her girlhood to complete sets. Everything was gotten via eBay auctions. It took a lot of patience to be able to get good quality items at an affordable price. The "Peanuts: The Art of Charles M. Schulz" book was very helpful in identifying which Peanuts memorabilia items were made. This is the complete set of Peanuts Skediddlers that was sold by Mattel.